Our job as your private investigator is to make sure that you look good in the end. We understand that by referring your client to us, you are extending your own credibility to us. We take the responsibility of representing you well, very seriously. We always handle your client’s case professionally, ethically and tenaciously. Nothing does a better job of demonstrating the truth than video. When your case involves an individual engaged in some behavior they deny doing or are prohibited from doing, we get it on film for you. From insurance fraud to violations of non-compete agreements, we can cover it. You already have a large variety of internet based search tools and paid information services available to try and find someone yourself. Unfortunately, even these tools have their limitations and finding a witness may not be the most effective use of your time. At Assurance Investigations Group, we have the tools, knowledge, professional training to find a witnesses quickly and affordable. When you need someone located, often times we find them in a new place, new town or even in a new state. What they know may help, but it also may not. 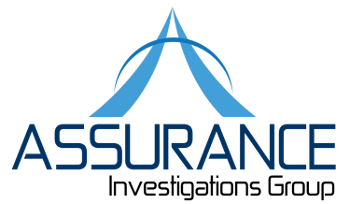 At Assurance Investigations Group, our investigators who take statements have been professionally trained to work with witnesses to determine what they know and to document it in a way that you can work with. Many of our interviewers are graduates of the REID school of interviewing and interrogation. Successfully obtaining a judgment for your client is wonderful. Knowing that there are assets available to collect on that judgment is not guaranteed. That’s where we come in. Either pre or post judgment, we assist attorneys and their clients in determining if their opposition has assets to collect upon, if they are already encumbered or where they are trying to hide them. Having all the facts can make or break your pleadings, deposition or even your case. Our private investigators will dig deep to find out a persons real background. When you need the truth, Assurance Investigations Group. can find it. We encourage you to contact one of our private investigators to discuss how we may be of service to you. Call (413) 274-8829 for your free no obligation consultation with the best Private Investigators in Massachusetts and Rhode Island.